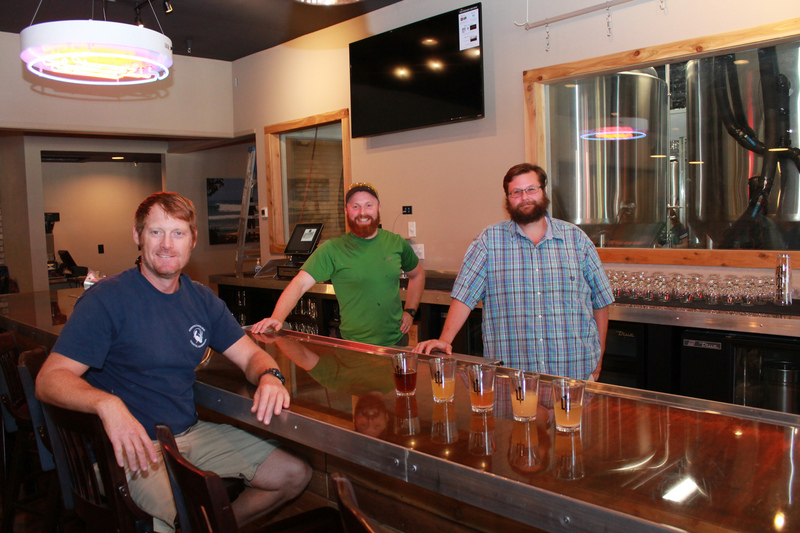 From left, Bob High, Zac Brown and Craig Gee at Waterman's Brewery, which is expected to have its grand opening this week, with plans for July 4. Staff photo by Terry Lane. With fresh beer brewed on site, craft beer breweries are a growing trend in the Wilmington area, and the opening of a new brewery in July will bring the brewery trend right up to Wrightsville Beach’s doorstep. Under development for months, owners of the Waterman’s Brewery at 1610 Pavilion Place spent this week making final preparations for a grand opening expected as early as July 4. Bob High, one of the brewery’s owners, said they hoped sharing a birthday with America would be a nice tradition for the bar. “We’d love to be able to celebrate our anniversary on July 4th every year,” High said. The opening of Waterman’s Brewery continues the growing trend of craft beer brewing in Wilmington. The Cape Fear Craft Beer Alliance, which represents brewers in three counties, said that Waterman’s will be the 10th brewery in Wilmington. 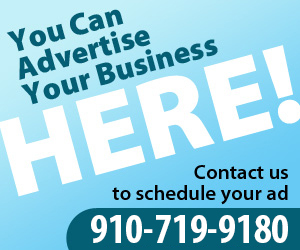 There are breweries in Carolina Beach and Southport and seven more are under construction or planned for the three county area, said Cape Fear Craft Beer Alliance President Jeremy Tomlinson. To brew the beer, Waterman’s brought in Zac Brown, whose past brewing experience includes the Magnolia Brewing Company in San Francisco. “We’ll have everything from light, dark, hoppy, and all the way in between,” Brown said. The brewery is planning on having at least three beers brewed on site for the opening and expect to have a rotation of as many as six in a few weeks. The brewery will also served other locally brewed beers. Another unique offering will be unique coffee brews, including cold coffee that can be served from the tap. Waterman’s Brewery will include a kitchen, though High emphasizes that the establishment’s focus will be brewing. The food at will be constantly changing, he said, and plans events to focus on beer and wine pairings to go with the menu items. In Wrightsville Beach, Lighthouse Beer & Wine, which has been serving customers for nearly 20 years, said the local breweries have helped increase interest in North Carolina beers. Waterman’s Brewery is not the only one to open close to Wrightsville Beach. In February, Wrightsville Beach Brewery opened at 24 Greenville Ave.,off of Oleander Drive by Bradley Creek. And Boomtail Craft Brewery recently opened the Sour Barn at 211 Market Street.